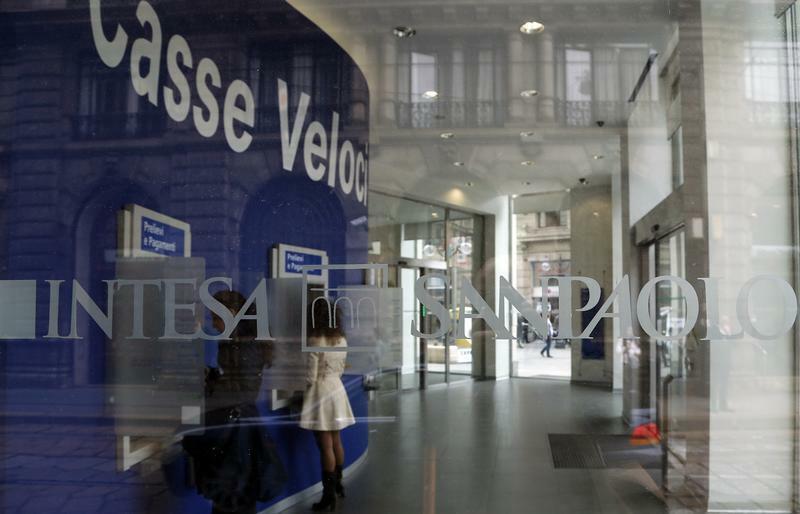 MILAN (Reuters) - The head of Intesa Sanpaolo (ISP.MI) said on Wednesday Italy's biggest retail bank was not planning to invest in troubled peer Banca Monte dei Paschi di Siena (BMPS.MI), which is set to carry out a 3 billion-euro capital increase next year. The management of Italy's Monte dei Paschi, which is trying to avoid state ownership, had hoped to carry out the cash call already in January. But it is fighting opposition from its biggest shareholder, a charitable banking foundation, which wants to have more time to seek a buyer for its 33.5 percent stake. "We ruled it out, firmly," Intesa Sanpaolo Chief Executive Carlo Messina told reporters when asked about a possible move by Intesa Sanpaolo on Monte dei Paschi. He also ruled out that Intesa Sanpaolo could join the pool of banks that have agreed to guarantee the capital hike.